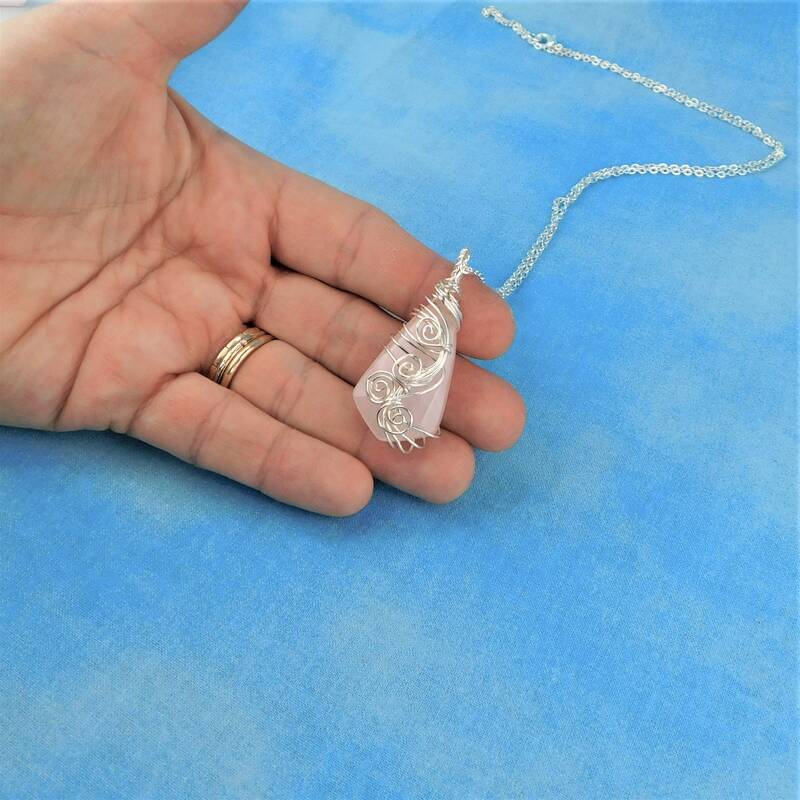 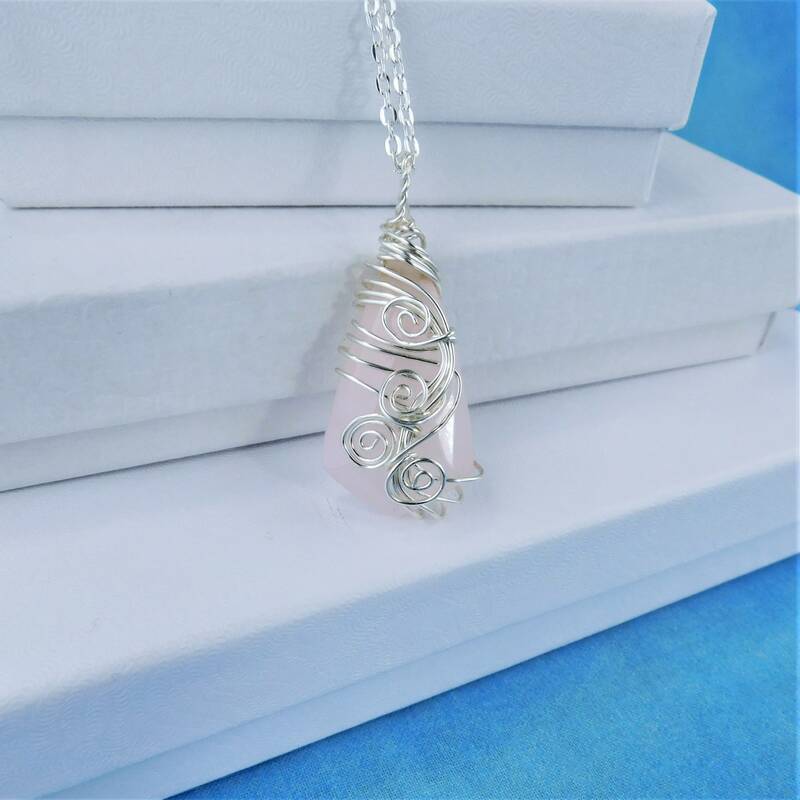 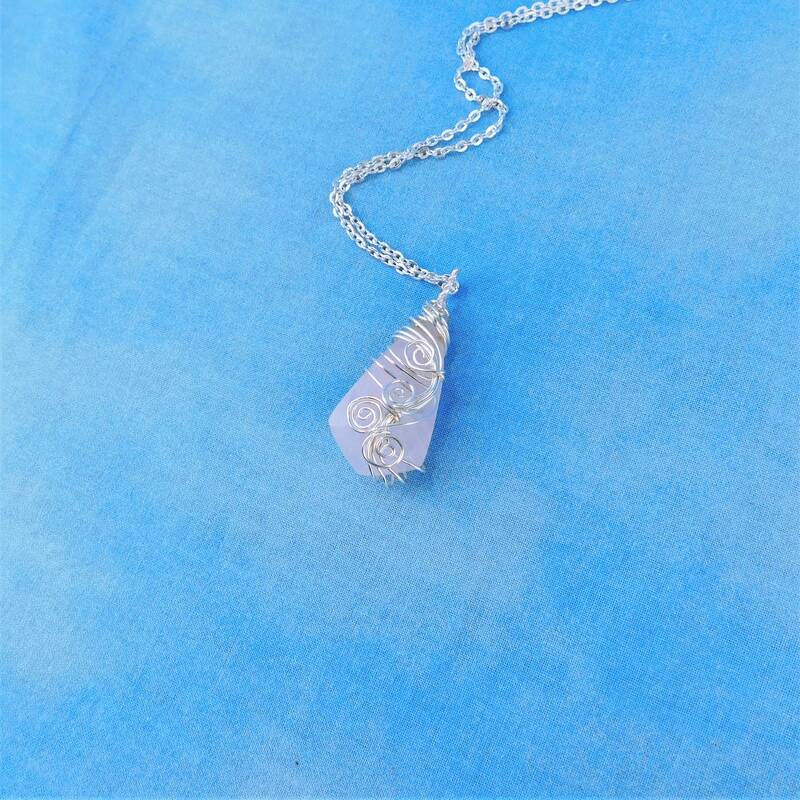 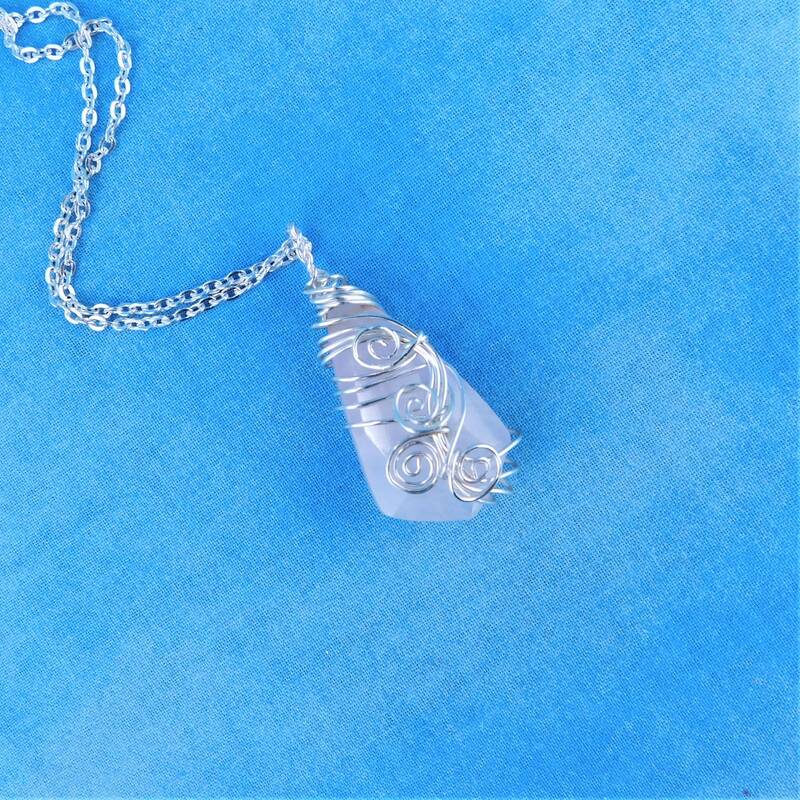 Two individual strands of non tarnish fine silver over copper wire wrap a carved diamond shaped Rose Quartz Pendant. 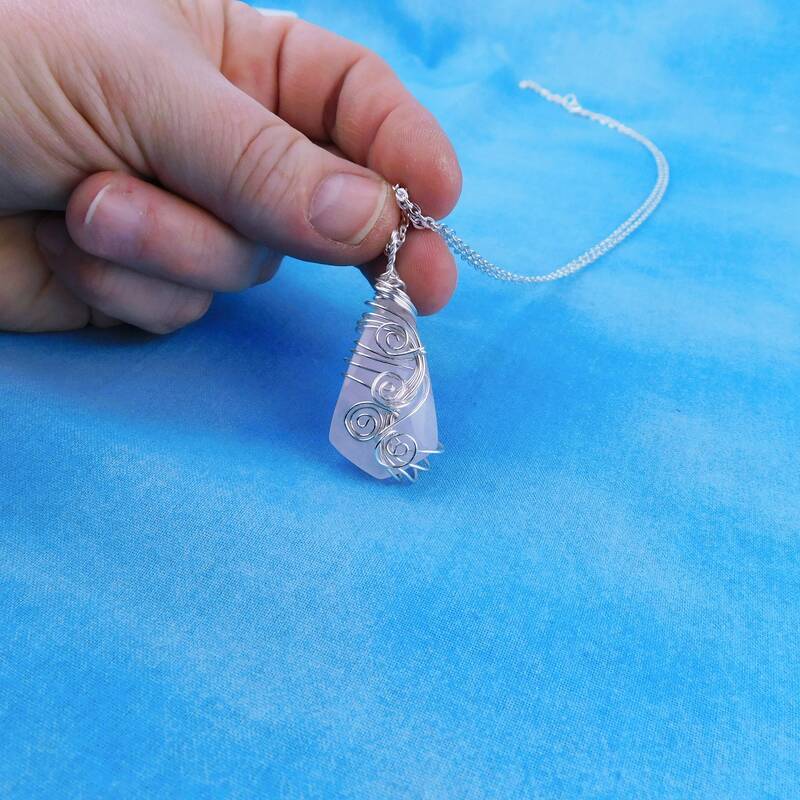 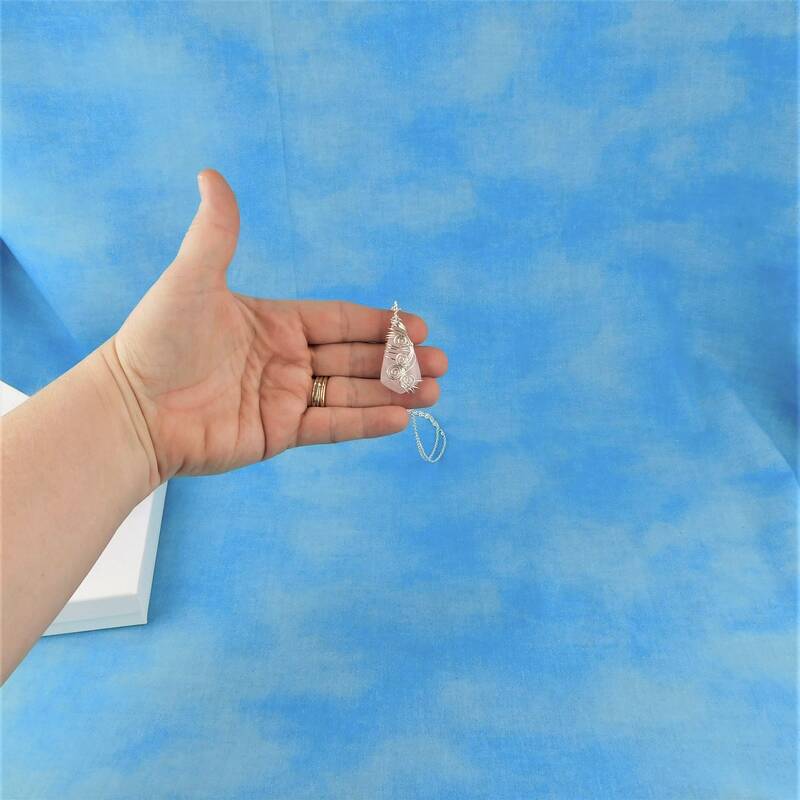 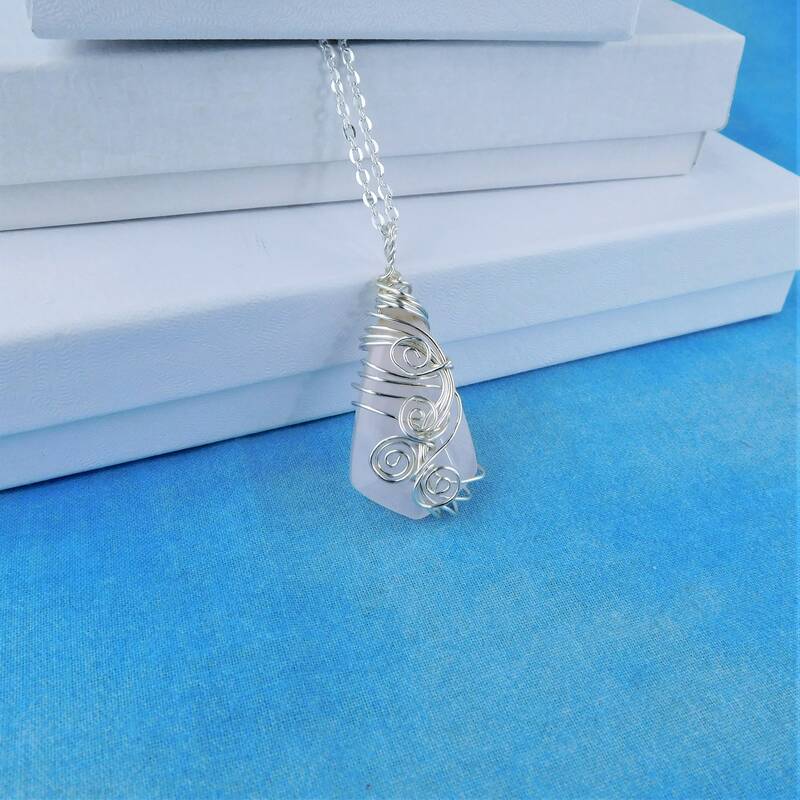 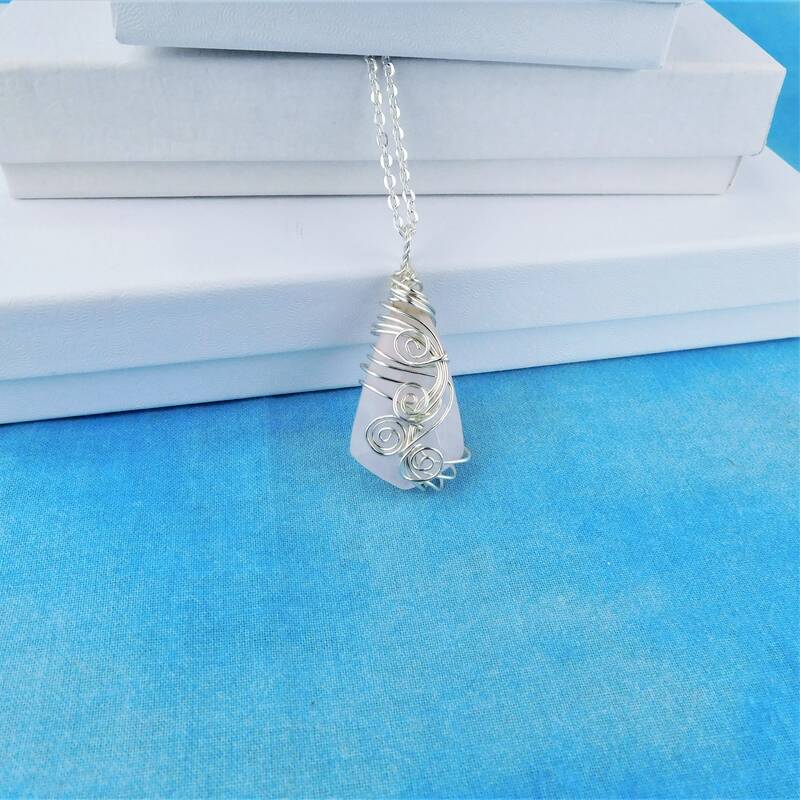 The pendant measures 1 1/2 inches by 3/4 inch and comes with a FREE coordinating chain with lobster claw clasp, measured to your preferred length. 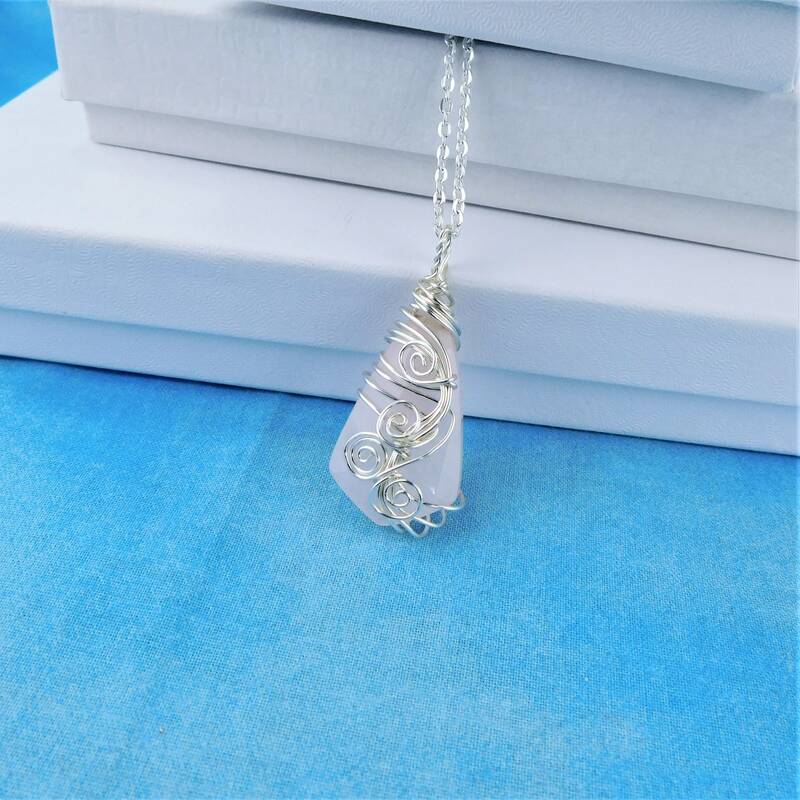 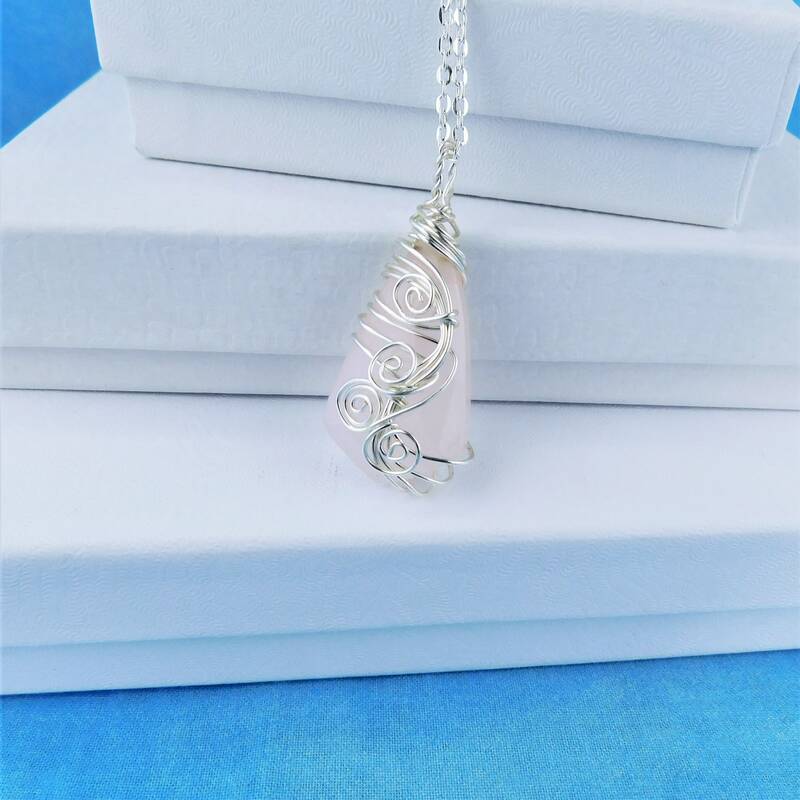 The artistic sculptured wire design adds an elegant, lacy feel to this artisan handcrafted pendant.